I have been working on a couple of small things lately. 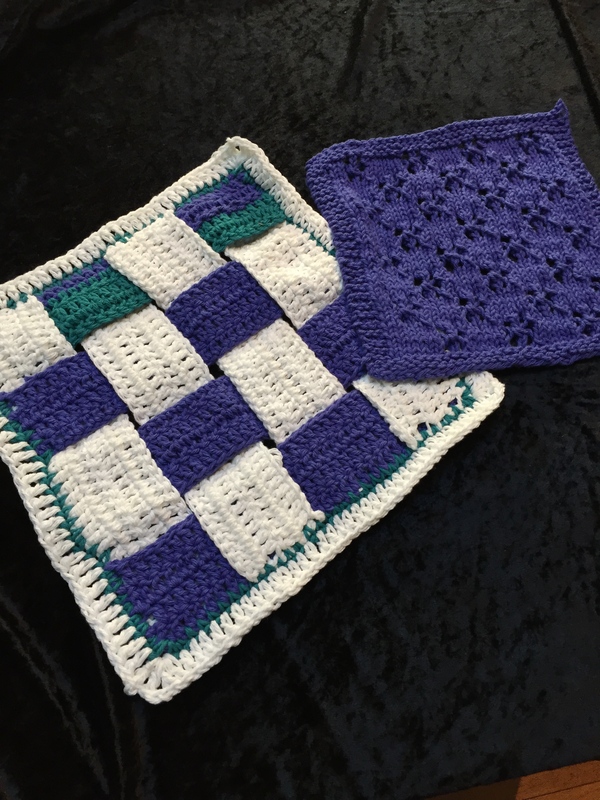 Knitted Dishcloth and Crochet Woven Square. I’m still knitting dishcloths with the monthly dishcloth group (that’s the purple one). With the little bit leftover from the cotton ball after a dishcloth, I make strips and add strips of white to create these woven squares. I think once I get enough of them, I’ll sew them together to make an afghan. 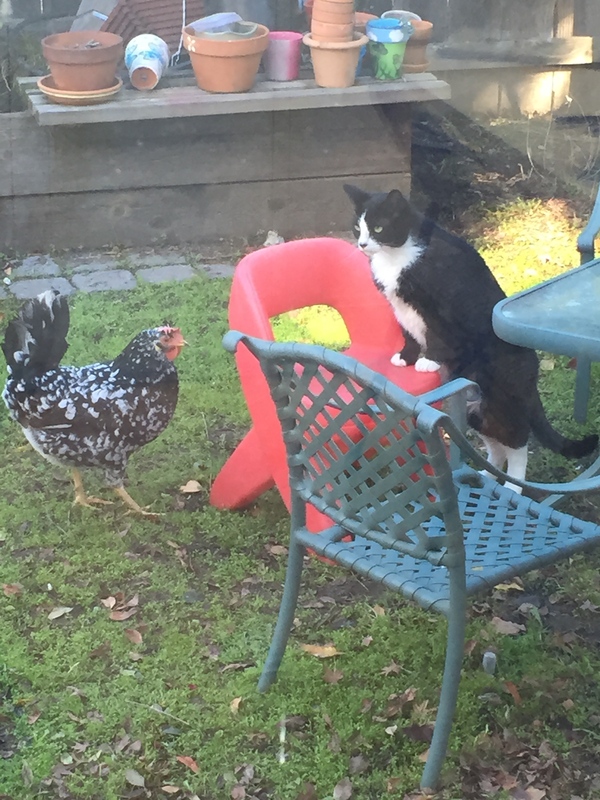 Chicken and Tux, the cat facing off. We have three chickens, but by far the one pictured is the most aggressive, her name is short wing. We also have two cats, the one pictured here is Tux. 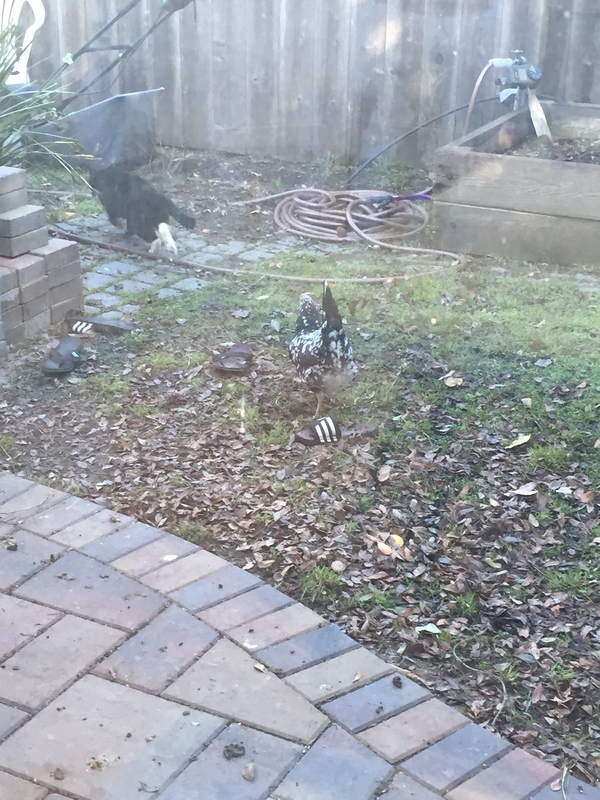 Shortwing really likes to keep her yard “pest” free! 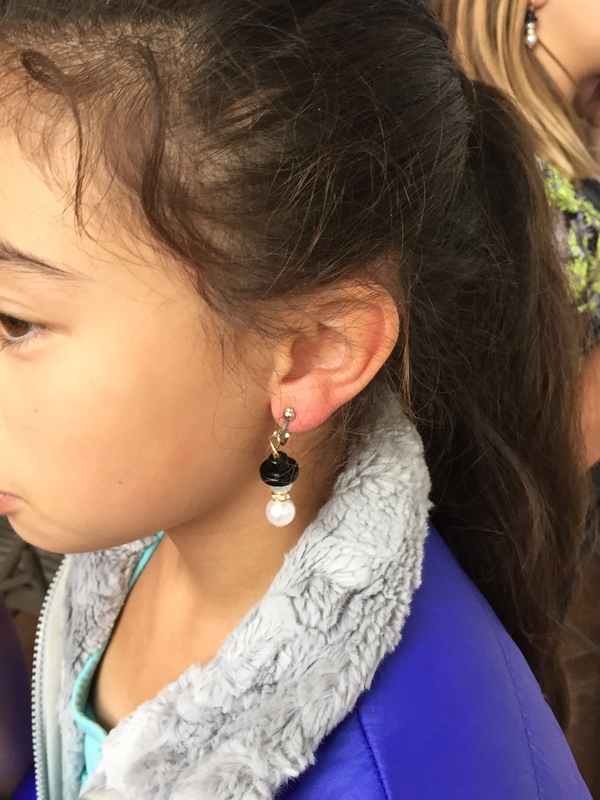 This past week I have been working on putting together some projects for a Jewelry Making Workshop for a group of Girl Scouts. This one was a little different from some of the others we have done because some of these girls had been to summer camp here and I needed to come up with something different. 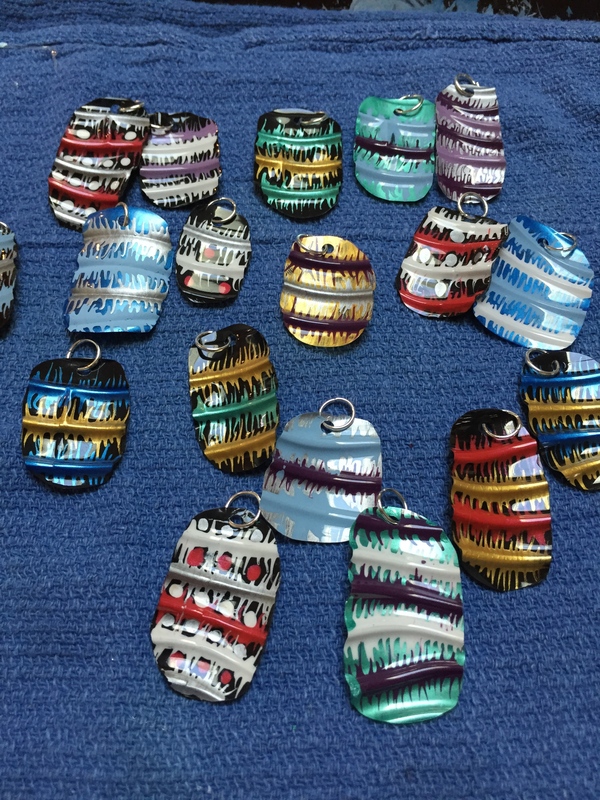 Pendants made from water bottles and acrylic paint. I made these ahead of time. They took several days as each layer of paint had to dry before the next layer could be added. 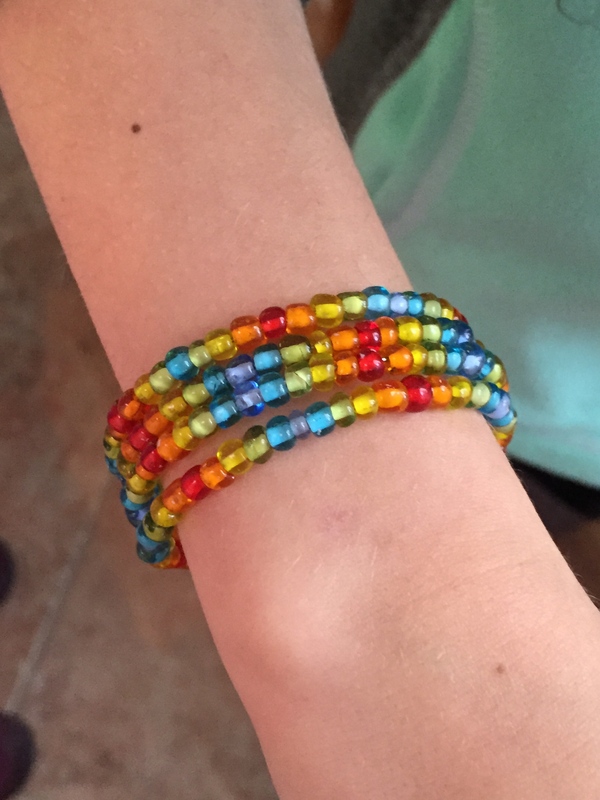 These will be one of the things students will make during summer camp this coming summer – they were so fun! 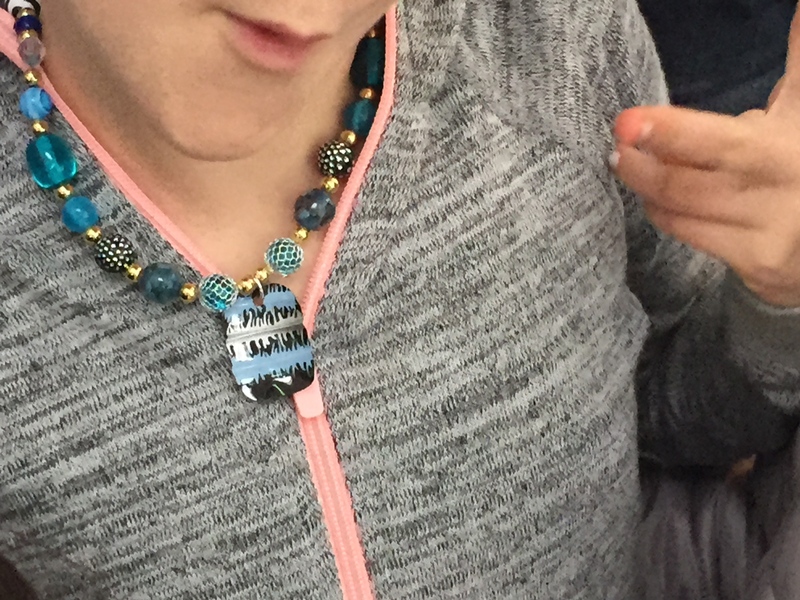 Designing their necklaces with the pendants as a focal point. 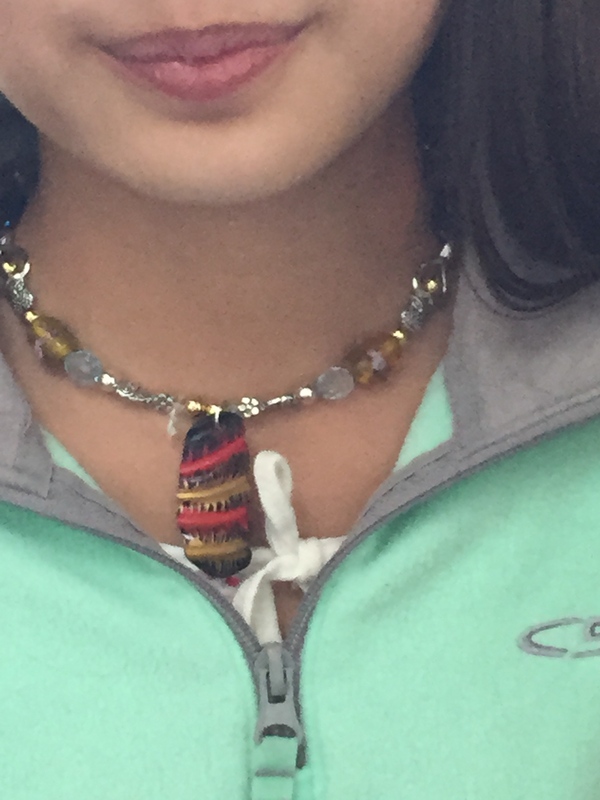 Each student chose a pendant and then built her necklace around it. We talked about balance, color and finished length. These were just the cutest project ever!! I had to share them with this group of students. 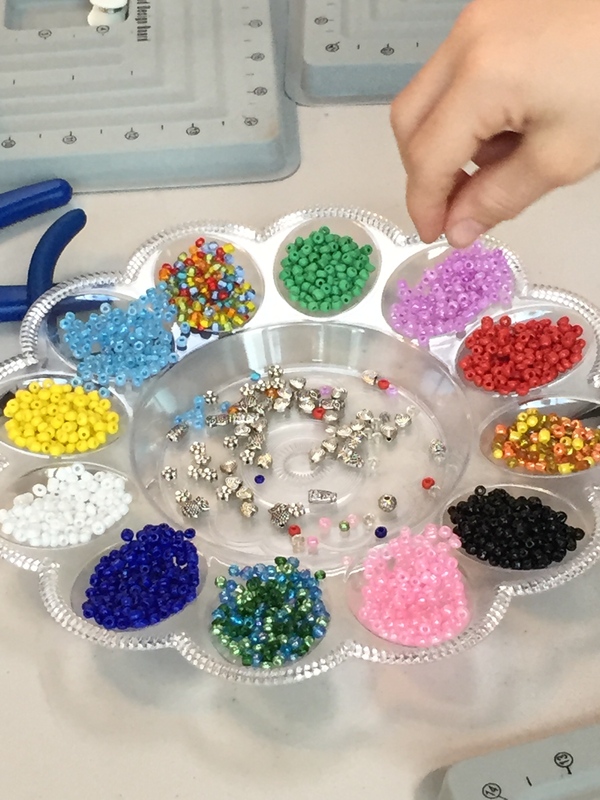 Each table had two of these delicious platters of beads. 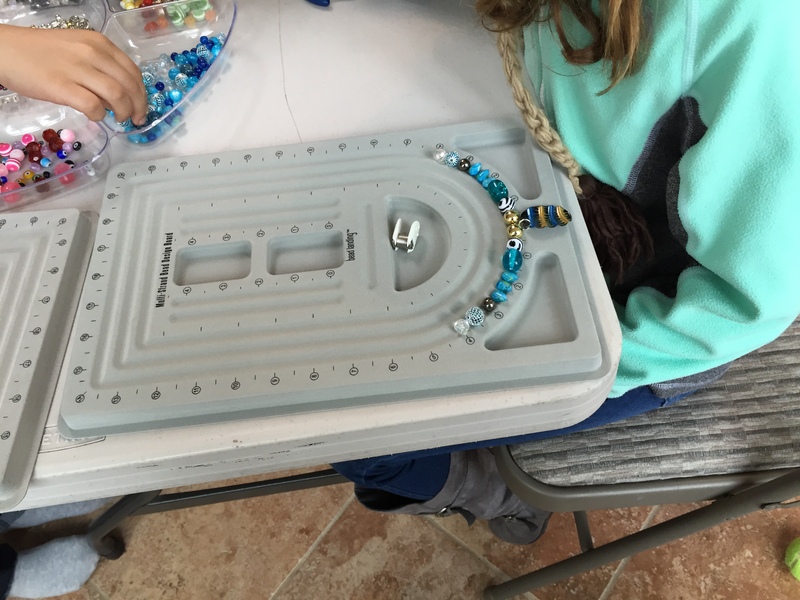 They were used to design and make bracelets. 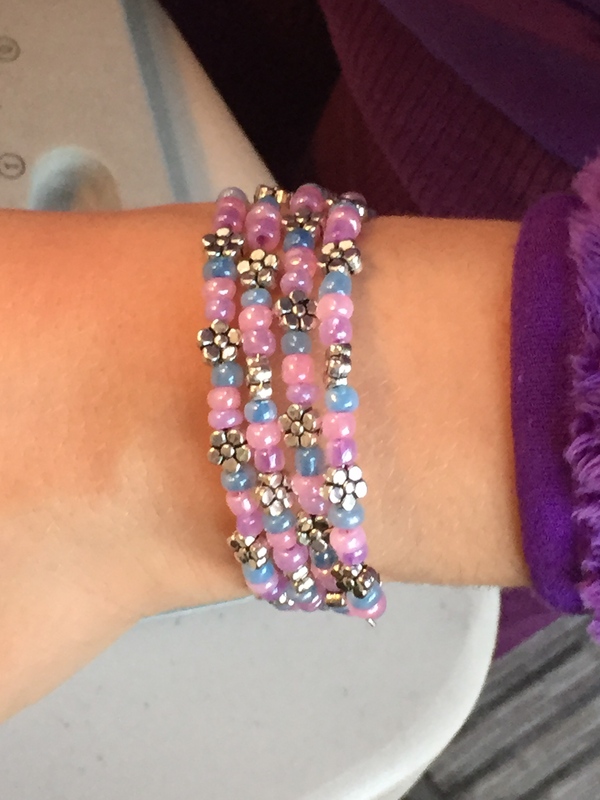 Overall, there were 13 girls in attendance and each project turned out different and fabulous! I can’t wait to teach the next workshop! 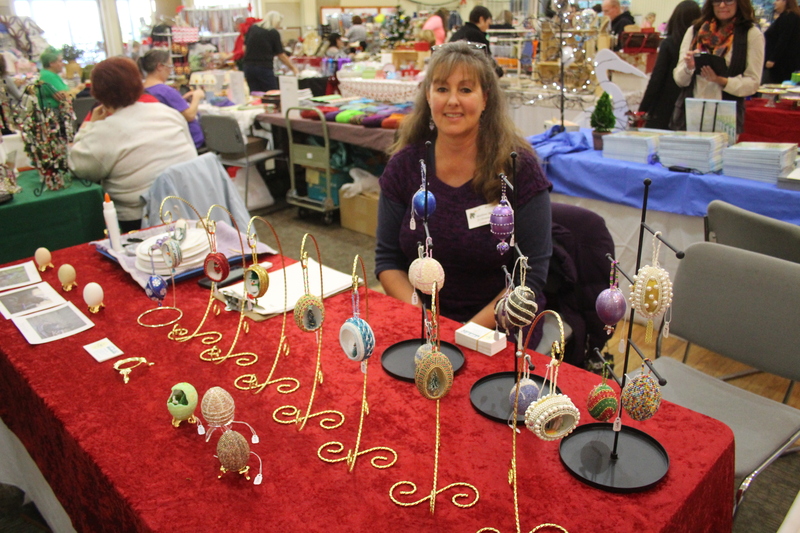 Well, the big craft fair, Mistletoe Madness in San Leandro, was last Saturday. WOW! What a learning experience it was to participate in such an event. 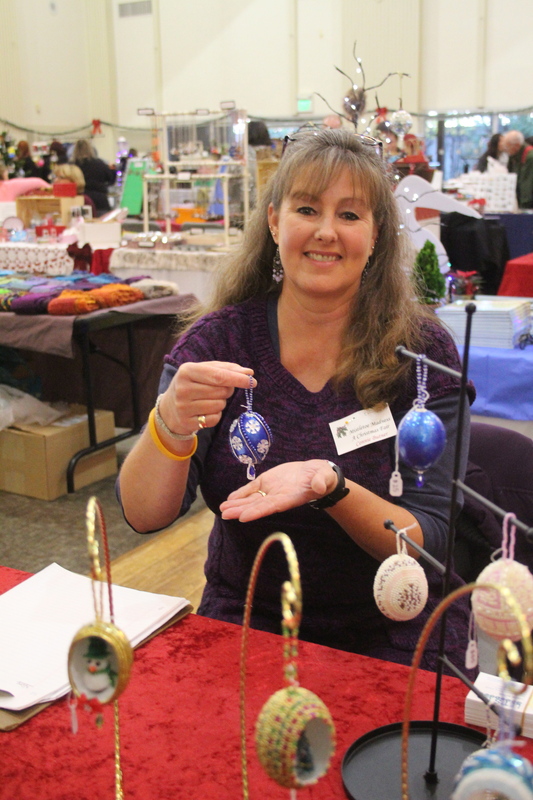 This was my first ever craft fair and it was really quite fun although I was exhausted at the end of the day. Modeling one of my favorite eggs. 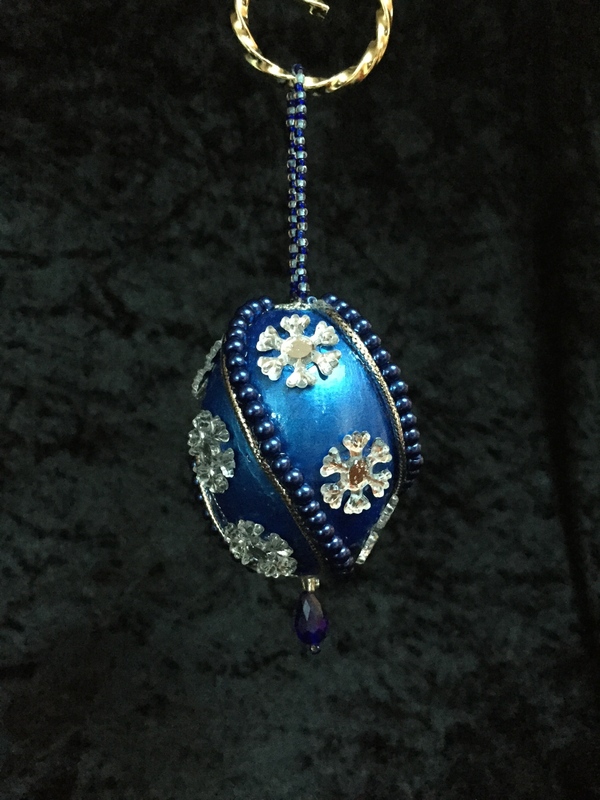 Painted Egg with beads, cording and embelishments. 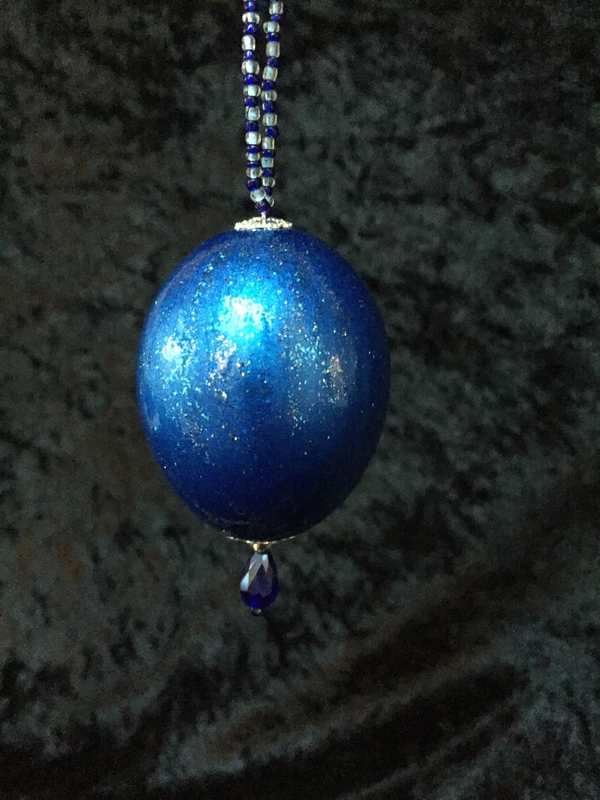 Blue and glitter painted egg. 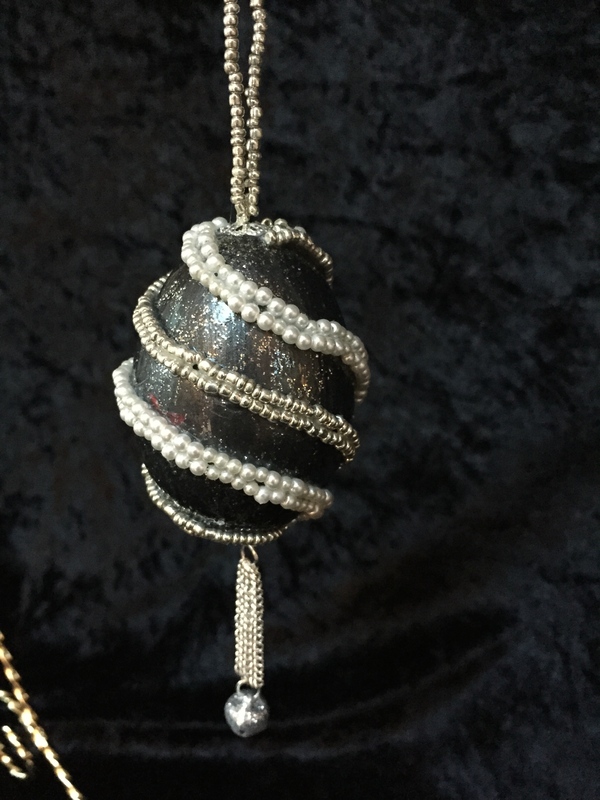 Black and glitter painted egg with bead embelishments. 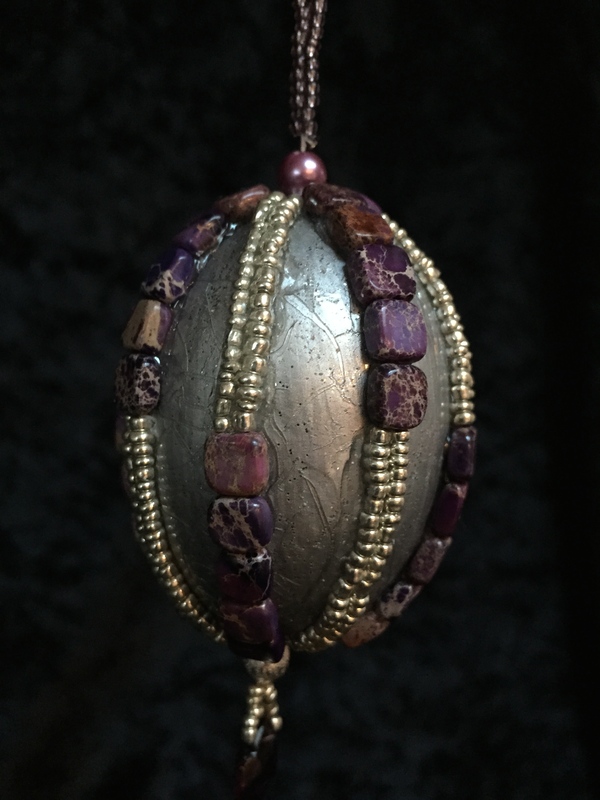 Silver and glitter painted egg with bead embellishments. 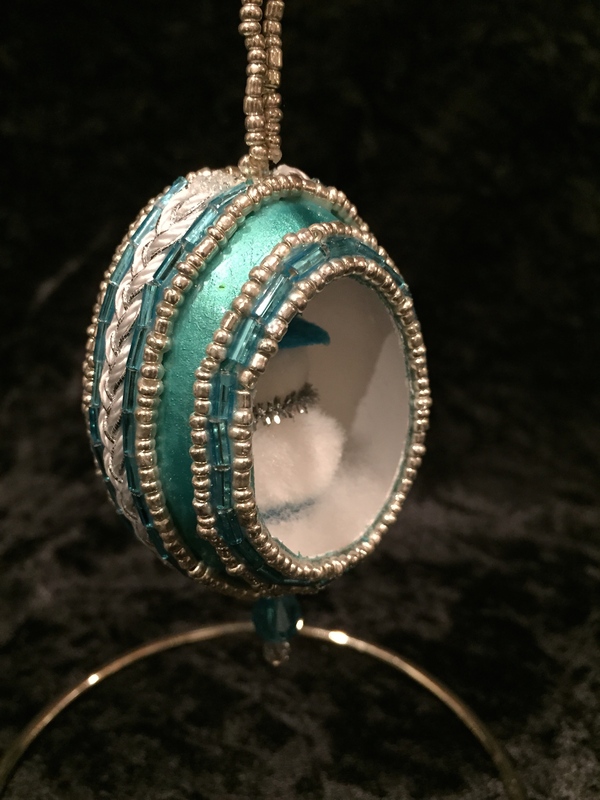 Turquoise painted egg with bead and cord embellishments. 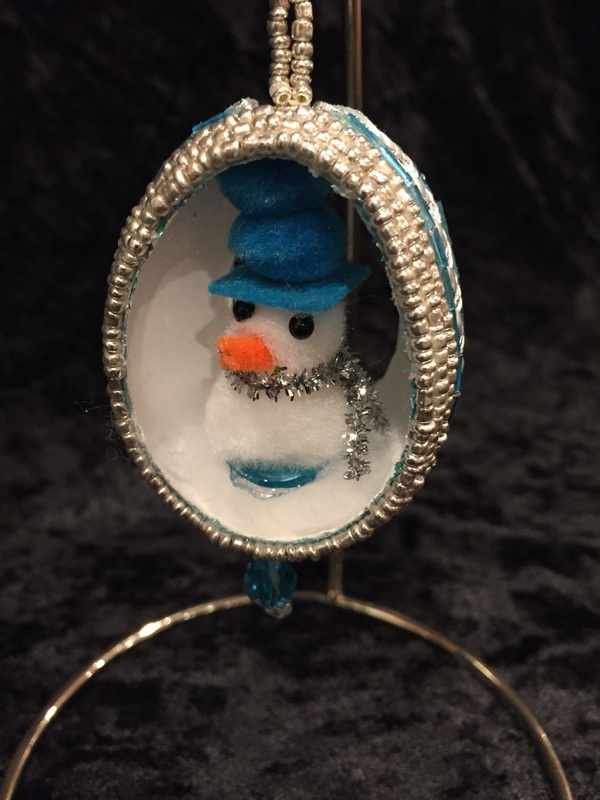 Cutouts and snowman insert.